Daily foot traffic over rugs can cause dirt, oils, dust, allergens and odors to become trapped in the fibers. However, you can ensure that you extend the lifespan of your rugs with regular cleaning. Rugs that are exposed to heavy foot traffic will not last for very long if your allow debris and dust to accumulate, even when the rug is composed of strong fibers. 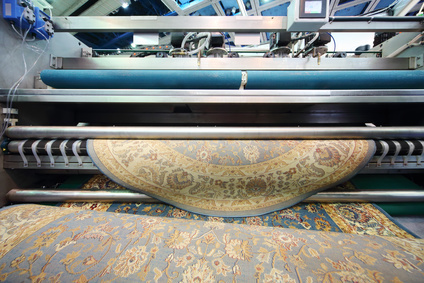 This is because dirt and dust gets into the base of these rugs that results in friction that occurs on these fibers. For this reason it is always best to use a professional rug cleaning service that can assist you with spills and pet accidents. It is always advisable to contain spills by using a paper towel to blot over the spill, but it may not be the best option to try and clean the rug yourself. This is because the majority of the cleaning products you find in regular stores contain chemicals that can damage the fibers in your rugs. In addition, it is never advisable to use water over a stain as it not only spreads the stain, it can also cause the dyes in the rug to bleed. Water can ruin your rug and make it appear discolored as well as cause damages to flooring beneath the rug. We offer you services to clean your rugs and get rid of any stains. These services involve the use of various cleaning techniques like color testing to ensure that the dyes in the rug will not be able to bleed using the correct cleaning process. Our company makes use of a thorough 10-step process when it comes to cleaning rugs. Our specialists have all undergone extensive training which means that each job is conducted with care and expertise. We also provide a hypoallergenic and non-toxic option which means you can rely on our services without being concerned about your safety as well as that of your pets. We also provide restoration, repair and cleaning of specialty rugs and carpets and will use the correct cleaning method according to the types of rugs and carpets you have. 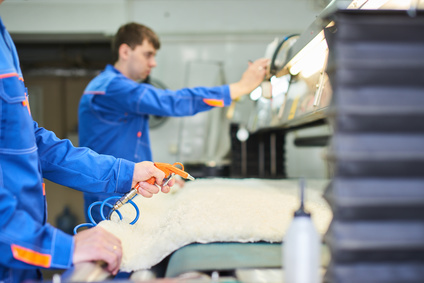 We can restore as well as effectively clean rugs made out of sheepskin, silk, wool and cowhide. Some of the rugs that we specialize in include Tibetan, East Turkestan, Central Asian, Kurdish, Caucasian and Anatolian rugs. We only use certified specialists that are able to identify fibers, materials and rug types in order to choose the ideal cleaning method for your specific rugs. 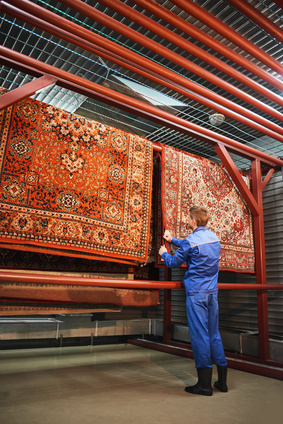 The tools we use is of the highest quality and the cleaning facility we operate has every type of equipment required in order to restore and clean rugs. Call us today for a free estimate for all your rug cleaning needs.